This article first appeared in The Edge Financial Daily, on February 2, 2018. The Polar Silk Road will support China’s investments in container shipping companies, ports and other forms of intermodal container transport along the modern-day Silk Road, which has strengthened the country’s grip on trade by connecting it by land and sea to Southeast Asia, Pakistan and Central Asia, and beyond to the Middle East, Europe and Africa. LAST week, China said it plans to build a “Polar Silk Road” that will open shipping lanes across the largely pristine region at the top of the world. It is an ambitious idea for a country that lacks an Arctic border, and it has raised concerns around the world about China’s ultimate intentions and its capacity for environmental stewardship. Although these are reasonable worries, they are almost certainly overblown. In theory, melting Arctic ice will create a significant economic opportunity. By one account, the region holds 22% of the world’s oil and gas reserves. As the ice recedes due to climate change, those reserves will be easier to mine. As new shipping lanes open, they should also be easier to transport. A cargo vessel going from Shanghai to Rotterdam via the Northwest Passage, rather than through the Panama Canal, will shave 2,200 miles (3,541km) off its journey. Already, some 900 Arctic infrastructure projects are at various stages of development. To be sure, most will not get anywhere. It is hard to predict exactly how and where polar ice will melt. Some hoped-for shipping lanes may not open until the 2070s, and those routes that have already opened are unlikely to support profitable shipping businesses, thanks to their remoteness and the high cost of insurance. In 2016, only 19 vessels traversed the Northern Sea Route between Asia and Europe — hardly evidence of an Arctic “gold rush” or competition for the Panama Canal. Yet China is taking the long view. In the past decade, Chinese academics have started publishing papers on the role of the Arctic in China’s economic and geopolitical future. Policymakers have begun describing China as a “near-Arctic state” and an Arctic “stakeholder,” despite having no coastline or other obvious territorial claims in the region. In 2016, China published a 356-page guidebook on navigating Canada’s Northwest Passage — then made a successful voyage through the fabled sea route just a year later. All this has led to some understandable concerns. Canada, for one, is worried that China will fail to respect existing sovereignty claims, and recently accused it of obtaining a permit for its Northwest Passage voyage under false premises. As the world’s largest consumer of oil, gas, minerals and seafood, China is also sure to have an outsized impact on the region’s environment. But that is all the more reason for it to have a seat at the table in determining the Arctic’s future. So far, at least, China has been willing to work within international rules. In 2013, it obtained permanent observer status at the Arctic Council, a group that includes the eight Arctic nations and six indigenous communities. In December, it was one of 16 countries that agreed to a 16-year ban on commercial fishing in the Arctic while scientists study the region’s marine ecology and how it might be affected by climate change. That has no guarantee that China’s ravenous fishing fleets will not pour into polar waters come 2034. But it is a reminder that China will be affected by the risks and opportunities created by a warming Arctic, and has a legitimate role to play there. With that in mind, clearer rules and stronger institutions are still needed. For starters, the US should set an example by finally ratifying the UN Convention on the Law of the Sea, the treaty governing the oceans. 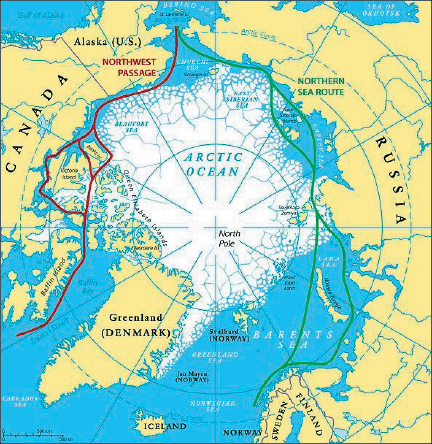 In doing so, it would gain more influence in discussions over the Arctic, and help ensure that disputes in the region’s international waters can be resolved in an orderly way. Additionally, the Polar Code, which regulates cargo vessels and cruise ships in the area, should be extended to fishing boats, which arguably pose the greatest risk to Arctic ecosystems. Finally, it would make sense to establish an international scientific body — perhaps modelled on the North Pacific Marine Sciences Organization — that could provide timely information on the Arctic’s environment and fish stocks.